The Walker County Historical Commission, the Sam Houston Memorial Museum, and the Sam Houston Statue and Visitors Center will once again celebrate the university’s namesake with the 34th Annual Texas Independence Day and Gen. Sam Houston’s Birthday commemoration on March 2. Festivities will get under way with a coffee and reception from 9-10:15 a.m. at the Gibbs-Powell House Walker County Museum, at 1228 11th St.
Gen. Sam Houston's grave site at Oakwood Cemetery in Huntsville. Around 10:15 a.m. the traditional march to Gen. Sam Houston’s gravesite will assemble at Austin Hall and proceed to Oakwood Cemetery along University Avenue, led by the SHSU ROTC and students. At the gravesite, a special ceremony will begin at 11 a.m. and will feature Alan Lefever, director of the Texas Baptist Historical Collection and adjunct professor at Baylor University’s Truett Seminary. During the ceremony, there will be the “Baptized Texan” ceremony as a way for non-Native Texans to burnish their Lone Star credentials by being “baptized” as a Texan. The tradition was featured in the March 2013 edition of Texas Highways. Lefever earned a bachelor’s degree from Baylor University and his Master of Divinity degree and doctorate in church history from Southwestern Baptist Theological Seminary. His area of expertise is Baptist history, particularly Texas Baptist history. 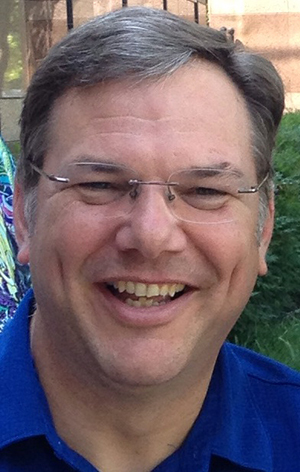 He is a certified archivist with more than 20 years of experience in archival work and is a recognized author and contributor to several books, articles and reviews. Immediately following the ceremony, a buffet luncheon will be held at 12:30 p.m. at the Gibbs Conference Hall of the Katy and E. Don Walker Sr. Education Center, and the day’s activities will culminate at 2 p.m. at the Sam Houston Statue and Visitors Center with the dedication of the Gene Pipes Amphitheater, “Toast to Texas” and birthday cake. The tradition of celebrating March 2 in Huntsville stems back to 1889, when students from the Sam Houston Normal Institute marched to Gen. Sam Houston’s grave. Alan Lefever will be the guest speaker at the gravesite ceremony on March 2. “This annual event continued until 1971; it was almost always done by the student body at Sam Houston, and several times the governor came,” said James Patton, with the Walker County Historical Commission. “There was a big celebration in 1936, again in 1986 for the 150th anniversary of Texas, and another big event in 1993 for the 200th birthday of Gen. Sam Houston. In the last several years students from Sam Houston State University with the help of the ROTC and history departments have continued the tradition of marching to Houston’s grave. 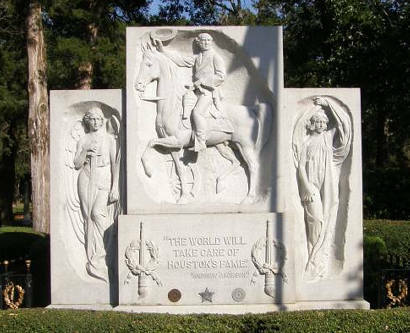 The Houston gravesite at Oakwood Cemetery is located Sam Houston Memorial Drive and 9th Street. In the event of inclement weather, the gravesite ceremony will be held at Mance Park Middle School, located near Oakwood Cemetery. Reservation and payments for the “Baptized Texas” ceremony and the luncheon are required for the luncheon by Feb. 25. For more information on reservations and payments, contact the Walker County Historical Commission at history@co.walker.tx.us or 936.435.2497. For more information on the March 2 schedule of events, visit walkercountyhistory.org,samhoustonmemorialmuseum.com or huntsvilletexas.com.